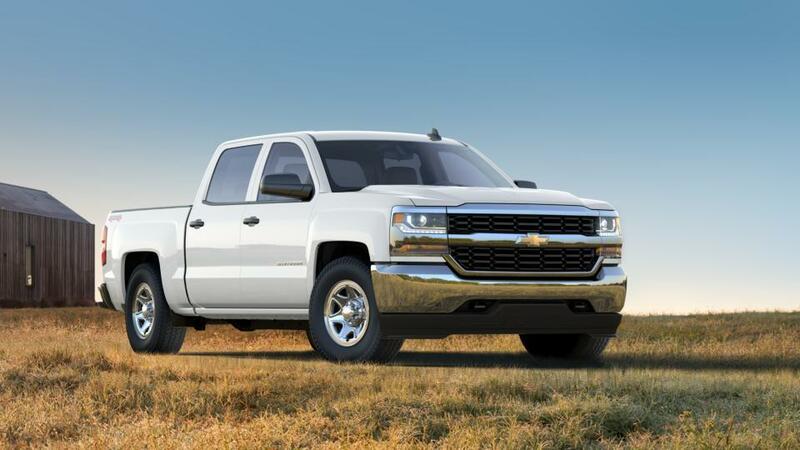 Chevrolet knows trucks and there's no other full-sized pickup truck more dependable than the Chevrolet Silverado. If you're shopping for a strong, reliable truck that's ready to work long days and keep you comfortable, the Chevrolet Silverado is designed with you in mind. There are almost endless options so you can get the perfect full-sized truck for your needs. From available class-leading towing capacity of 12,500 lbs to available built-in 4G LTE WiFi so you can stay connected, no matter where the road takes you. The Chevrolet Silverado also comes standard with a roll-formed steel bed that's crafted to be stronger yet lighter than the common stamped steel bed. The Chevrolet Silverado is famous for working hard and staying strong. But it's also growing a reputation for comfort. The interior cabin is incredibly quiet and spacious, allowing for comfortable commutes alone or with your crew. Find your new 2017 Chevrolet Silverado 1500 right here near Tacoma at Chevrolet Buick GMC of Puyallup just down the road.